Daniel Thomas tragically died last Wednesday (February 8). 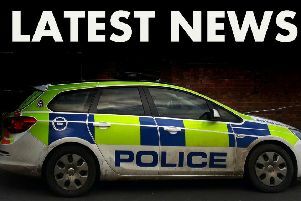 Lincolnshire Police have today (Monday) released the identity of the man who tragically lost his life in a collision on the A18 at Ludborough last week. Daniel Thomas, 31, from Healing, was driving a car which collided with a lorry on Wednesday February 8. His family have today issued a heartfelt statement, stating: “Dan was such a family man. He was a loving husband to Nikki and a fantastic daddy and step-daddy to Steph, Lily, Charlie and twins Alfie and Daisy. He was also a great friend to many. “Dan had recently graduated from University with a degree in B.Eng (Hons) Electrical & Electronic Engineering. We were so proud of him. He went on to study his Masters.